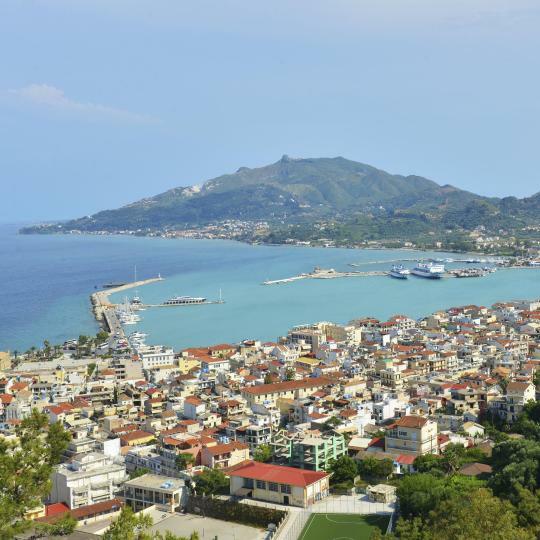 Stay in Zakynthos's best hotels! Located in Laganas in the Zakynthos Region, Memories Apartments features a seasonal outdoor pool, barbecue and sun terrace. Free private parking is available on site. Lovely property in a really good location, within close distance to the strip but still felt safe and secluded. Hosts were lovely, and we felt very welcome. Rooms are modern and spacious. Located in Tragaki, 4.3 mi from Zakynthos Town, Lesante Blu Exclusive Beach resort features a private beach area, infinity pools and a spa center. Everything. I mean everything, was amazing. The Staff: The service is impeccable. The hotel staff are always helpful and engaging. The restaurant staff are all knowledgeable and more than happy to give advice. The sommelier makes excellent recommendations, and after a few drinks will know what you might like to try for the rest of your stay. The Hotel: The grounds are pristinely kept. The result is that every corner of the resort is begging for photo detours. Our room, the jacuzzi/private pool room, was terrific. The bed is quite comfortable, and facing the east so you will be greeted in the morning every day by a stunning sunrise over the Ionian Sea. The Food: The Melia restaurant wasn't open yet as we visited early in the season, so I can't speak for it. That said, the dinner at both the Ostria and Gaia restaurants was phenomenal. So good, that after multiple visits to other local restaurants I couldn't find any that could challenge these two on a general level. Definitely order the grilled octopus with fava bean puree and the grilled lobster at Ostria. Both are top notch. I'm normally ambivalent of any type of buffet restaurant, but the Gaia offered great quality that exceeded several a la carte restaurants we visited. Summary: Go to here, and never leave. 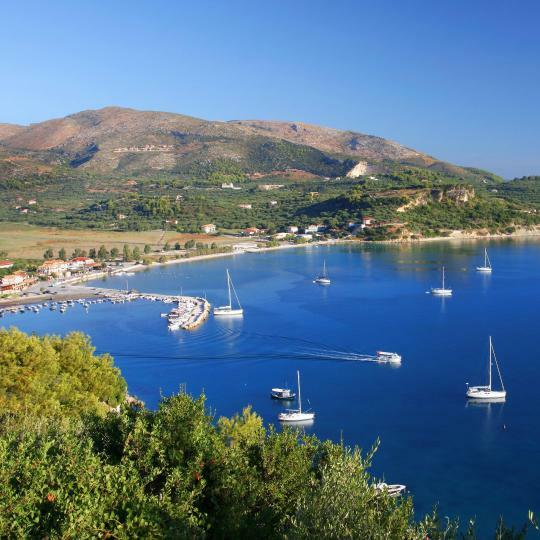 Just a 5-minute walk from the beach, Ionian Hill is set on the outskirts of Argassi in Zakynthos. Location, cleanliness, staff is kind and helpful and a very good wi-fi. Located by the famous Tsilivi Beach, Iakinthos features an outdoor swimming pool and a restaurant with sea-view terrace. Free Wi-Fi is available at the hotel’s internet room. Amazing staff. Good food. Very comfortable and clean. Highly recommend!! The boutique Balcony Hotel is located on a cliff side, offering panoramic views of the Ionian Sea and direct access to Tsilivi Beach. Cozy, comfortable and quiet room, beautiful view and very nice nearby area. The service was outstanding and people at balcony hotel are super kind, they really really care about their customers! And the food at the restaurant at Balcony Hotel is sooooo good and affordable! Strongly recommended! Located in Laganas, Casa Del Mar offers beachfront accommodations a 4-minute walk from Laganas Beach and has facilities like a garden and a terrace. Absolutely fabulous stay at Casa Del Mar - highly recommend! Anna the host was so lovely and made us feel very at home. Location is perfect right on the beach and very close to the Main Street. Can’t wait to come back to Zante and stay here again one day. Thanks again. Remezzo is offering accommodations in Amoudi. Among the various facilities of this property are barbecue facilities and a garden. Both private parking and free WiFi are accessible at this property. Located within an 11-minute walk of Tsilivi Beach, Olea All Suite Hotel in Tsilivi has a number of amenities including an outdoor pool, a fitness center and a terrace. The hotel is the most beautiful I had a chance to be in. The service is beyond perfect and kind. Everything we needed from car rentals to shipwreck cruise schedules on the other side of the island was handled right away. It is 10/10 Food great ,pools great, rooms great. The stuff is the best I have seen. Located in Tragaki, 4.3 mi from Zakynthos Town, Lesante Blu Exclusive Beach resort features a private beach area, infinity pools and a spa center. Everything. I mean everything, was amazing. The Staff: The service is impeccable. The boutique Balcony Hotel is located on a cliff side, offering panoramic views of the Ionian Sea and direct access to Tsilivi Beach. Cozy, comfortable and quiet room, beautiful view and very nice nearby area. Featuring a garden and a terrace, Casa di Pierros is located in Lithakia, just few yards from the beach. Zakynthos Port is 5.6 mi away. Free WiFi is provided. - Manager of the place Perry was very kind and hepfull. The best manager so far! Located in Laganas, Casa Del Mar offers beachfront accommodations a 4-minute walk from Laganas Beach and has facilities like a garden and a terrace. Absolutely fabulous stay at Casa Del Mar - highly recommend! Located within an 11-minute walk of Tsilivi Beach, Olea All Suite Hotel in Tsilivi has a number of amenities including an outdoor pool, a fitness center and a terrace. The hotel is the most beautiful I had a chance to be in. The service is beyond perfect and kind. Litore Luxury Living is located in Laganas, 1148 feet from Laganas Beach. It features a well-tended garden and offers elegantly decorated units with free WiFi access and a balcony. As you see it in photos. Excellent room/facilities. Great location. Very clean. A 13-minute walk from Tsilivi Beach, Zante Maris Suites - Adults Only is set in Tsilivi and offers accommodations with free WiFi. The bed was so comfortable - best sleep ever. Plus, they have a pillow menu! Offering an outdoor pool and hot tub, Bitzaro Palace is located in Kalamaki, 3.1 mi from Zakynthos Town. Guests can enjoy the on-site restaurant. Sofia in the reception is a very nice and intelligent lady! She was very helpful. 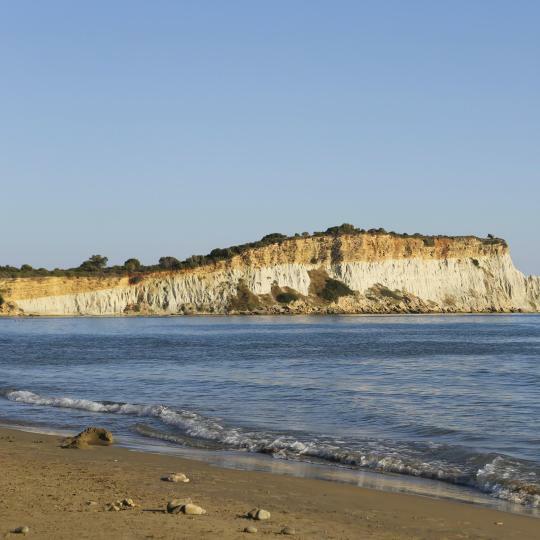 Centrally located in the lively Laganas Town, Hotel Tzante is 328 feet from a sandy beach. It features a pool bar and an outdoor free form pool. Its accommodations offers inland, pool or sea views. The staff were extremely helpful and kind. Would deff recommend this place to a large group. Located 164 feet from the beach, this boutique hotel features suites with a balcony and views of the Ionian Sea. There is a sea-facing terrace and a tavern-style dining room with stone walls. Rustic elegance, stunning views, warm and welcoming staff of charming family members. Close to the center of Tsilivi town, this hotel rests along a quiet road that leads to the beautiful beach. This location offers tranquility close to the vibrant town. Staff could not have been friendlier & hotel could not have been cleaner. Offering an outdoor pool and seasonal outdoor pool, Zante Calinica Hotel is located in Plános, 3.1 mi from Zakynthos Town. Guests can enjoy the on-site restaurant. Good value for money! Exceeded my expectations! Beds very comfortable! Set amid lush gardens, in Bochali area of Zakynthos, the family-run Lofos Strani features a swimming pool, a bar and a sun terrace with sun loungers. Verry verry clean location. The pool is great. 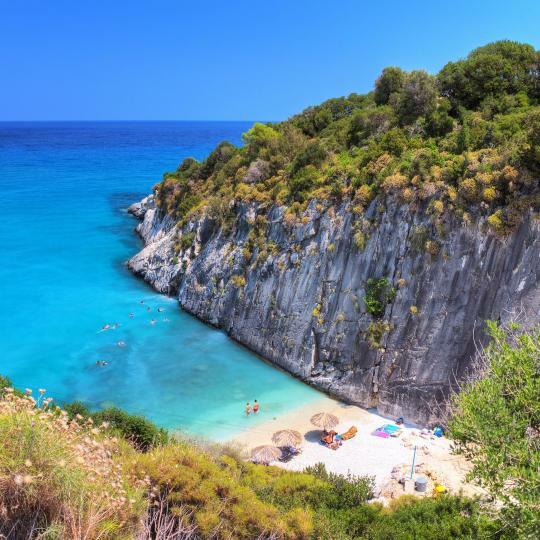 Hidden among sheer cliffs, this wondrous cove is treasured for its clear blue waters and fine white sands. These caves are named for their dreamlike lighting effects caused by rays of sunlight piercing the blue water. Along with the blue waters and natural scenery of the lake, the surrounding village’s traditional culture creates an unforgettable experience. The azure waters of Xigia Beach are infused with sulphur from nearby caves, making them perfect for a restorative soak. This church’s impressive steeple towers over the port and city, while beautiful frescos and a silver reliquary reside inside. A short sail from the Keri coast, this turtle-shaped island is a major loggerhead nesting ground cherished for its unspoilt beaches. Climb up to this hillside village to glimpse a spectacular sunset over Zakynthos city and the Ionian Sea. 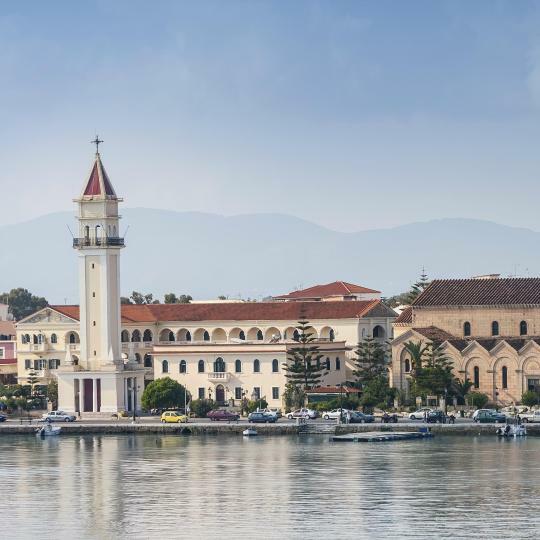 Uncover historic paintings, sculptures and other cultural icons alongside the reliquaries of Greece’s national poets at the island’s main museum. Beach loafers and loggerhead sea turtles alike frequent this well-preserved beach for its azure waters and pristine sands. 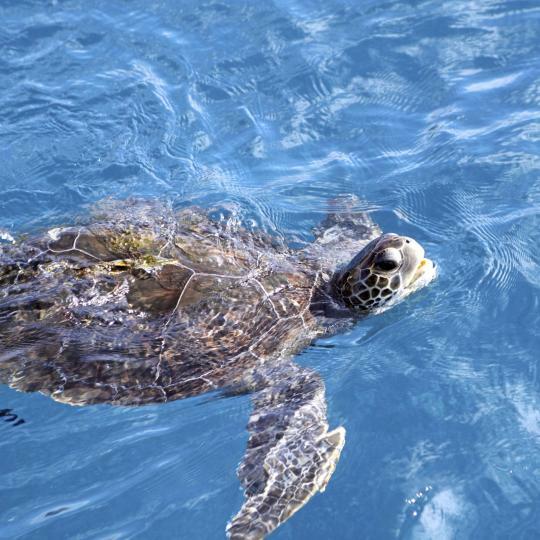 Hop on a boat and cruise through the clear blue Ionian Sea side by side with loggerhead sea turtles. Perfect studios in Zakynthos. A quiet place, no big traffic. Good location, near some of the most famous beaches(Gerakas, Banana, Dafni, porto Roma). 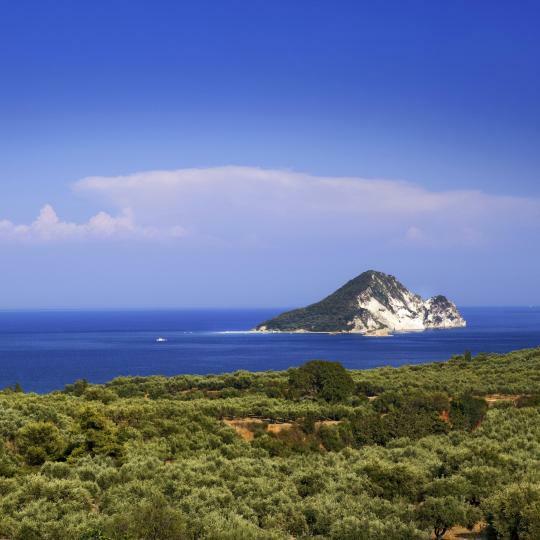 It's easy to go to Zakynthos or Laganas, or somewhere else. There are two good restourants next to the hotel(El Espanol, Dafne). Rooms have everything, clean. Everyday cleaning. The owner of studios, Antonio, is very responsive, helpful person. He helps with everything you need. Worth it! Very clean and fantastic owners! This place was recommended to us by friends that stayed there and it didn't disappoint. Breakfast was included and was great, fantastic place that has everything you need. Only place we'll stay in zakynthos when we comeback. Highly recommend!! Hotel went through a major renovation and now offers private pool rooms. Super happy with our stay!! Thank you! A very simple solid choice for zakynthos. Clean, modern, has all the expected 5-stars ambience and facilities What made this place stand out is the super attentive and great staff members Mr Spyros from the luggage handling team was an outstanding person, he took care of all my needs in the hotel when I arrived too early for the check-in. Great service guys! 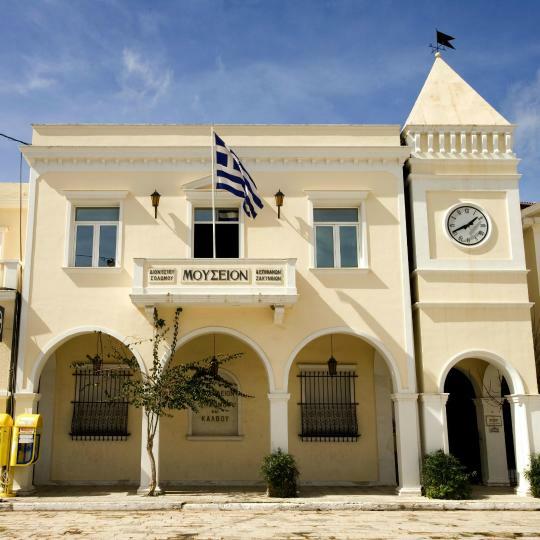 The best part of this hotel is not its accommodations, but the one-day tour in Zakynthos led by Dali. The price is competitive and the route is really well designed—this tip is already famous in some Chinese forums. If you come to the island for the first time without any idea where to visit, provided the weather is good, it'd be a very good option. Everything was perfect. Could not ask for a better place to stay or host family. My wife and I had our anniversary party in Zakynthos and stayed there a week. We arrived early and a cake was waiting! Great location, AC, pool, house cleaner, great beds, large bathrooms, wifi... You will not be disappointing staying here. Thanks again Villa La Curva! Everything was perfect, the host was the best and very helpful, my car battery died in the 6th day and without him I wouldn't know what to do. In one hour everything was solved. The apartment was ideal, 2 separate bedrooms, nice kitchen and bathroom. We really loved it and we want to come back. 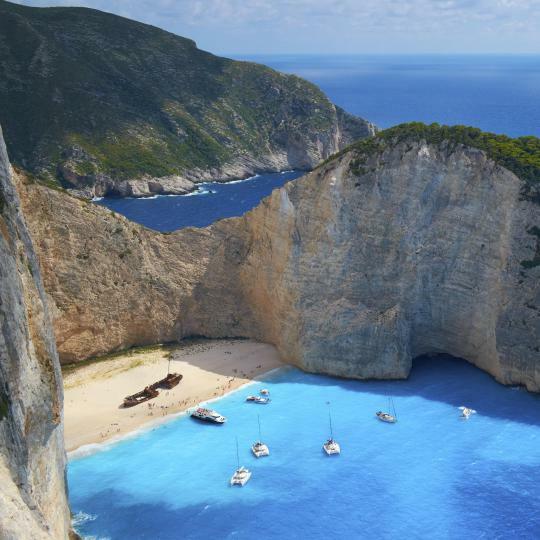 Zakynthos is incredible! Our host was very nice and helpful. That really made our trip to Zakynthos a wonderful experience. We felt really welcomed and almost part of the family. Also Maria (Service) was incredibly warm hearted and nice. Altogether a very good trip in a very good accomodation. Yanis was very concerned about us being able to locate the accommodation. He was friendly and provided tips on where to go on Zakynthos island. He also reassured us that there was nothing to worry about the tremors following the recent earthquake on the island. We had the best time at Iakinthos resort. The staff was amazing and so friendly. They were able to answer any questions and make calls for us. I highly recommend this location for a Greek island adventure. 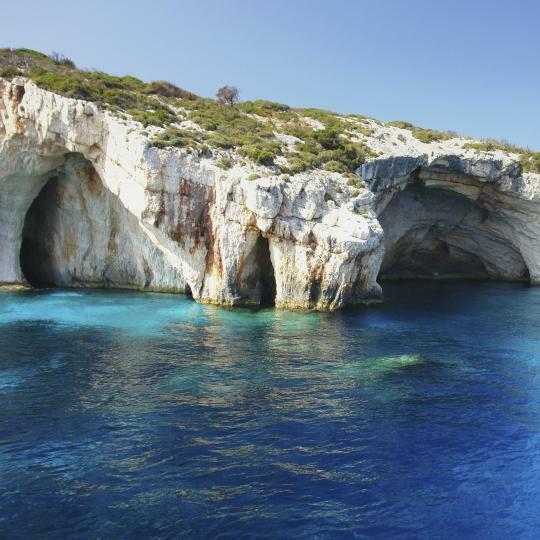 Zakynthos is a hidden gem for sure! We stayed 3 days in Zakynthos during May. We absolutely loved this place. It felt like we were staying in a tiny village. The grounds were very lush and extremely well kept. The staff was amazing. We wished we stayed there the entire time. Excellent complex in a good location - fantastic views - easy walk to beach, bars and restaurants - lovely and quiet around complex - staff very friendly and helpful. Would definitely stay there again if I ever come back to Zakynthos! Nice staff: congrat's to all the Marias :) Wonderful location. Best hotel and place in the whole island of Zakynthos. Wish someday to come back. The perfect balance between Nature and Comfort. Loved the breakfast yogurt!!! The staff are lovely and the food was just amazing! I had a wonderful time and would highly recommend Bitzaro to anyone who wants a comfortable and pleasant stay in Zakynthos. Great atmosphere and loads of entertainments. We loved everything in there. The breakfast it is awesome, the staff it's really friendly, the hotel it is all new and clean. It's near to a beach and Zakynthos town. It is not so far from Ktel Station. the view was great from the room. the property located in a very quite area in zakynthos. Rooms were nice & neat. owner was there for us and helped us a lot. Everithing was perfect, the position was in the heart of zakynthos. The staff were very friendly. And the room was always cleaned.